A man has been rushed to hospital after being stung by a stonefish in Happy Valley, Caloundra today. 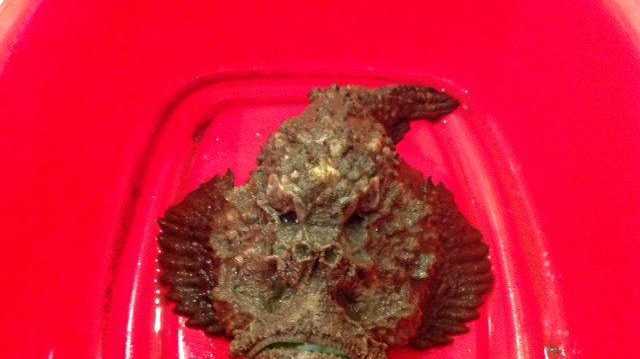 A MAN has been rushed to hospital after being stung by a stonefish in Happy Valley, Caloundra, today. The man, understood to be in his 40s, was stung off The Esplanade at around 12.30pm. He was transported to the Sunshine Coast University Hospital in a stable condition. Experts say stonefish venom is injected through the end of the spike and will cause agonising pain. Once you stand on one, the venom gland shoots venom up through the channel in the rear of the spine into the punctured area. The general rule is the more pressure applied to the fish, the worse the pain will be as the spine infiltrates deeper into the body.